Spoilers ahoy. We’ve talked about Tomb of Sargeras spoilers before, and this is a big, big spoiler, so only read on if you’re willing to be spoiled. 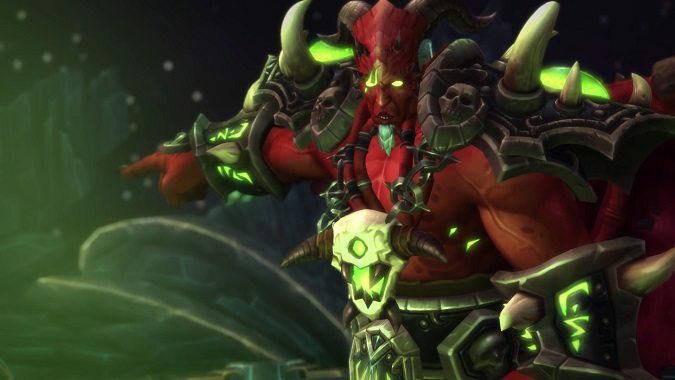 In case you haven’t heard, the Tomb of Sargeras is now open, and the big man himself, Kil’jaeden the Deceiver, has already been defeated. Upon killing him, a special cinematic plays out that changes everything, setting us up for patch 7.3 and beyond. Here is that cinematic, courtesy of the folks at Wowhead and Halcyon Chapter. So, what to say about the cinematic? Well, I’ve already warned you once, so again, if you watch this video you will see spoilers for the last fight of the Tomb of Sargeras raid. Here it is in its entirety. This cinematic is the culmination of story beats we’ve been seeing in Legion since the Demon Hunter starting experience. It works together Velen’s experience in the Light’s Heart scenario, Khadgar’s journey since Gul’dan opened the portal, and sets up a whole new status quo for us and our fight against the Burning Legion. What does it mean? What will happen in patch 7.3? What will happen beyond patch 7.3, now that we see such changes? Specifically now that Argus is hanging in the sky above our heads, that is. I warned you there would be spoilers in this post. If you like spoilers, our Discord now has a Spoiler channel so you can discuss them to your heart’s content.